My father’s untimely and tragic death when I was four made me a writer. It was that simple, really. There was a need for words, and words were what I turned to. 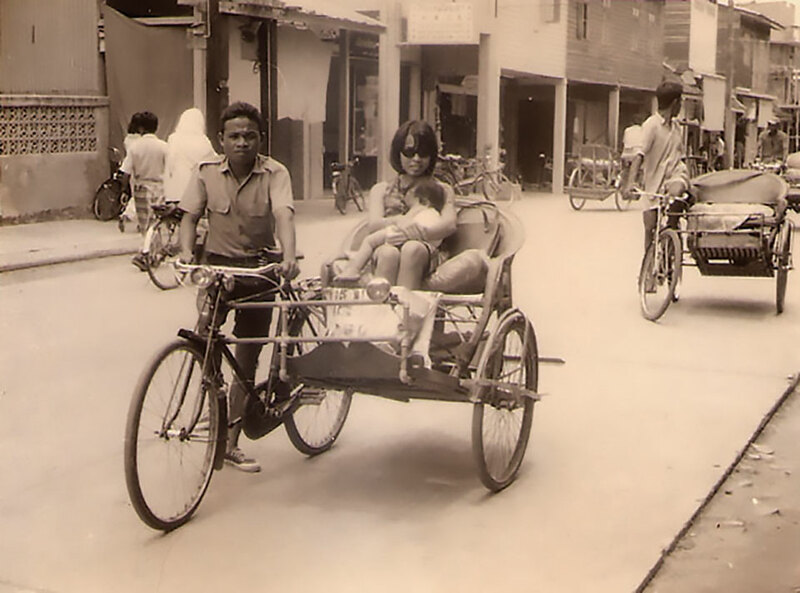 In the course of growing up in Malaysia’s third-largest city, Ipoh, a town that had a rich, checkered past of being the “town that tin built,” I immersed myself in books—books left by my father and mother. 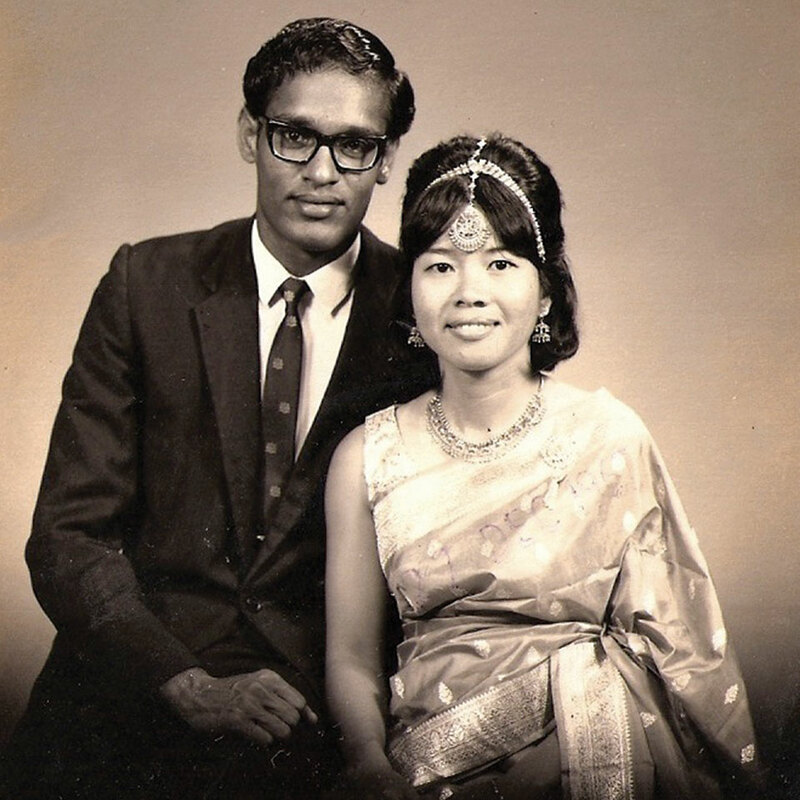 My father was Punjabi-Sikh, English-educated at St. Xavier’s Institution in George Town, Penang, then as a Colombo Scholar at Kirby College in Liverpool, England. My mother, Cantonese-Buddhist, Chinese-educated, then sent to Melbourne University in Australia. They had varied interests—poetry, literature, art, geology (my father was pursuing his master’s in geology at the time of his death), huge tomes on World Wars I and II, dog-eared, faded stacks of National Geographic from the 1960s, multiple volumes on Malaysian flora and fauna—birds, butterflies—invertebrates, vertebrates, carpentry, maps and rocks—books I still have in my library. I suppose I read to fill that gaping hole inside me, that nameless void that kept me up at night and rendered me angry, confused, bewildered as to who and what I was. I suppose I read to fill that gaping hole inside me, that nameless void that kept me up at night and rendered me angry, confused, bewildered as to who and what I was. “So what are you? Why do you have such a weird name?” Growing up with mixed identities—half this and half that—in Malaysia was common then, but it was not named. I did not know who I was, and my father’s death had created a chasm that needed to be crossed. I felt that I had been “cast out,” abandoned by the world, and I was utterly alone. My mother’s insistence on buying me at least two new books a week was one of the few joys I had, apart from being able to sit in the curved rattan chair on the second floor of our semidetached house with a plate of biscuits, a glass of cold water, and a thick book. The afternoon sun would dip and it would be night, but still I sat and devoured everything, reading books cover to cover, then some again. In the Ipoh public library where my mother would leave me on weekends, I huddled in soft, dark spaces and read quietly for hours. I also wrote a little, using essay assignments to play out my imagination; characters were marooned in deserts and stormy seas, in outer space. My teachers were supportive. I attempted poetry, but the images were the same—death, tombstones, epitaphs, an obsession with Edith Sitwell. It was necessary, but the poems were terrible. My decision to take English literature in the fourth and fifth form was an important prelude for what was to come. My mother found me a tutor, Brother Vincent Corkery, one of the last Lasallian Brothers left in Ipoh’s St. Michael’s Institution. Brother Vincent was from County Cork, in Ireland, spoke with a soft Irish curl, had crinkly blue eyes, and loved literature. How I looked forward to those classes! They were held in the brothers’ quarters of that beautiful school—up the narrow, worn concrete staircases, past the neo-Gothic eaves into the dark and cool rooms, which smelled of holy water and starched cassocks, away from the rowdy shrieks of boys. I would ring the doorbell—three short rings for Brother Vincent—and he would appear, fresh after a nap, and we would sit for two hours, reading and talking about literature. We read Bernard Malamud, Doris Lessing, Hemingway, Frost, Yeats, Keats, George Bernard Shaw, and Shakespeare. He made me memorize passages from Shakespeare—Old John of Gaunt, time-honoured Lancaster . . . —made me pronounce words with gestures and feeling, and made my hair stand on end when he read out a passage so beautiful, so evocative, so pained. I learned beauty; that words had power and a meaning that lasted, that stayed on my tongue and my skin. I did well enough in the O-level state exams and, as expected, got A’s in the English language and lit courses. As a result, I was offered a government scholarship to study English and TESL (Teaching English as a Second Language) in Canada. This marked the beginning of many things, but more importantly, the first step toward my life as a writer. Next Post C. K. William, Pulitzer Prize Winner, Poet Extraordinaire! Thank you for a very interesting and beautiful post!